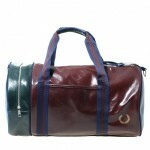 Fred Perry offers this sleek and shiny holdall bag in contrasting brown and blue. 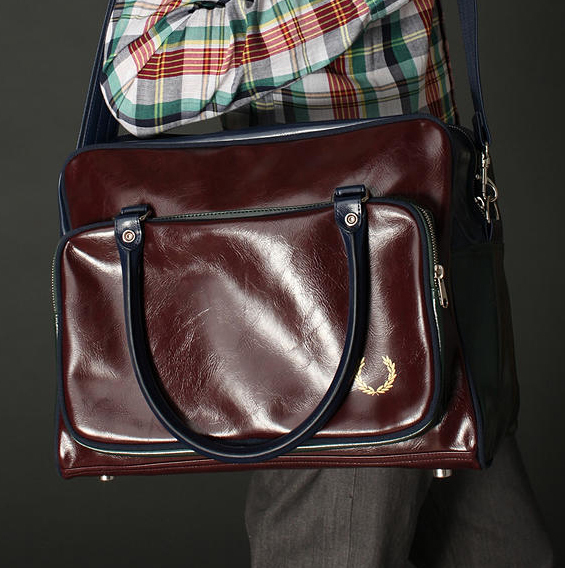 Featuring a large main compartment with internal organizer pockets, in addition to a zip pocket at the front, the bag is equipped with padded carry handles and collapsible base with metal feat. 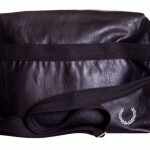 Printed with the Fred Perry leaf logo at the front, the ever-classy bag is available online. 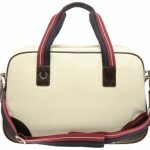 This entry was posted in Bags and tagged Fred Perry. Bookmark the permalink.